The Texas concert, which drew a crowd of 4,000 and was expected to raise more than $80,000 for the Kucinich campaign, showcased the success the Congressional Progressive Caucus co-chair has had in appealing to some of the country’s most inspired and independent-minded musicians. 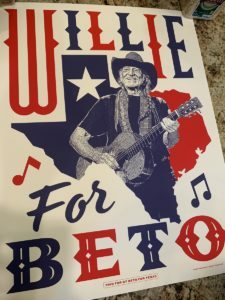 The candidate who has been endorsed by artists ranging from Pete Seeger to Ani DiFranco brought some of his best-known backers together for a sold-out concert in Austin. Along with Raitt, a pair of younger artists with Texas roots and national reputations, Michelle Shocked and Tish Hinojosa turned in musically and politically charged performances. Tim Reynolds, guitarist for the Dave Matthews Band, played. So too did Pat Simmons and Michael McDonald of the Doobie Brothers, who performed some of that group’s greatest hits before being joined by Raitt for a raucous rendition of “Taking It To The Streets.” The highlight of the Saturday night show came when Kucinich’s most high-profile musician backer, Willie Nelson, took the stage. Nelson, who has been talking up Kucinich’s candidacy since last summer, says he was attracted to Kucinich first because of the Ohio congressman’s passionate defense of family farmers — a cause close to the heart of the country singer, who has been a core backer of the Farm Aid concerts. But, as he campaigned for Kucinich over the weekend, Nelson picked up on the anti-war message that has been central to Kucinich’s run for the White House. 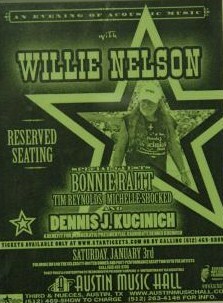 Is Nelson, who achieved international fame as a self-described country music “outlaw,” trying to stir things up? Nelson, who put his arm around Kucinich during several Austin appearances Saturday, says, “I just like him because he tells the truth. Whether he’s electable or not, who knows? But when you’ve got a guy you can trust, you’ve got a good candidate.” And Kucinich, whose campaign is using pictures of Nelson wearing a “Kucinich for President” t-shirt on posters, has a good supporter in the country star. There’s so many things going on in the world/Babies dying/Mothers crying/How much oil is one human life worth?/And what ever happened to peace on earth? Thou shall not kill/How much is that soldier’s life worth?/And whatever happened to peace on earth? Let’s just kill em’ all and let God sort em’ out/Is this what God wants us to do? Everything we’ve been told from our birth/Hell they won’t lie to me/Not on my own damn TV/But how much is a liar’s word worth?/And whatever happened to peace on earth? But how much is a liar’s word worth? 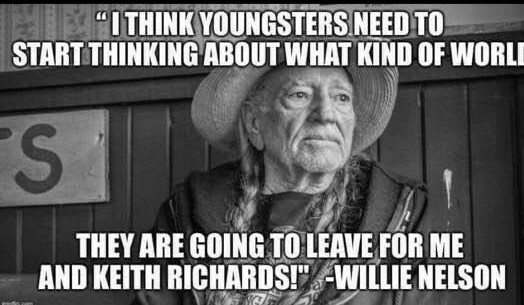 Willie Nelson sings that if people don’t like the politicians in office now, #VoteEmOut! 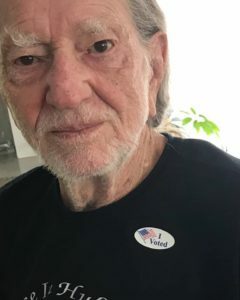 Earlier this week the Twitter account @MoveOn posted a fun jingle by Indian Country ally and award-winning country and folk singer Willie Nelson titled Vote ‘em Out. Willie Nelson has been a longtime ally to Indian Country issues and has often appeared and performed at concerts benefitting Native peoples as well as showing his support at presence to the water protectors at Standing Rock. 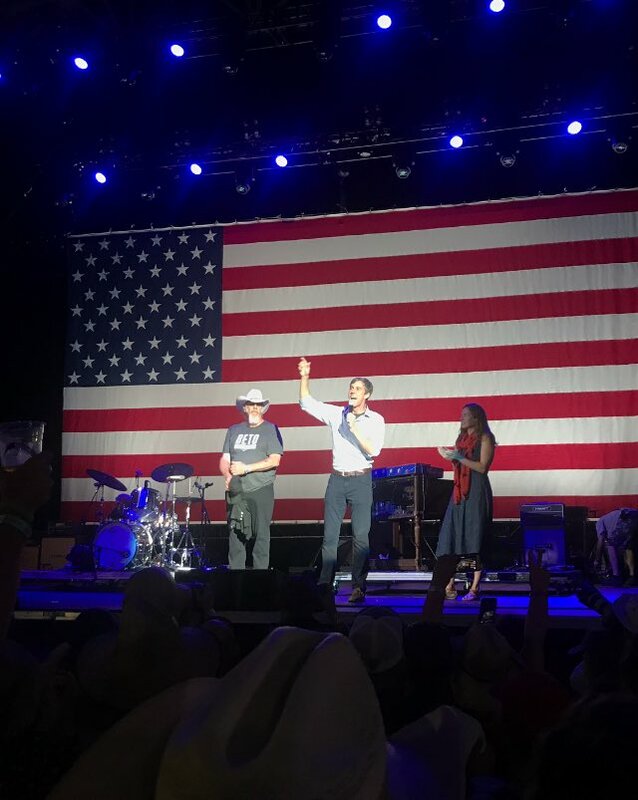 Roughly 55,000 people showed up for Beto O’Rourke’s rally in Austin! This video was shot on Sept 29, 2018, as the crowd began to pour into Auditorium Shores around sunset. The event didn’t begin for about an hour later. 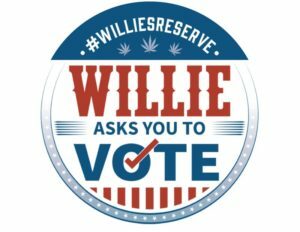 Don’t forget, early voting begins Monday, October 22, 2018. 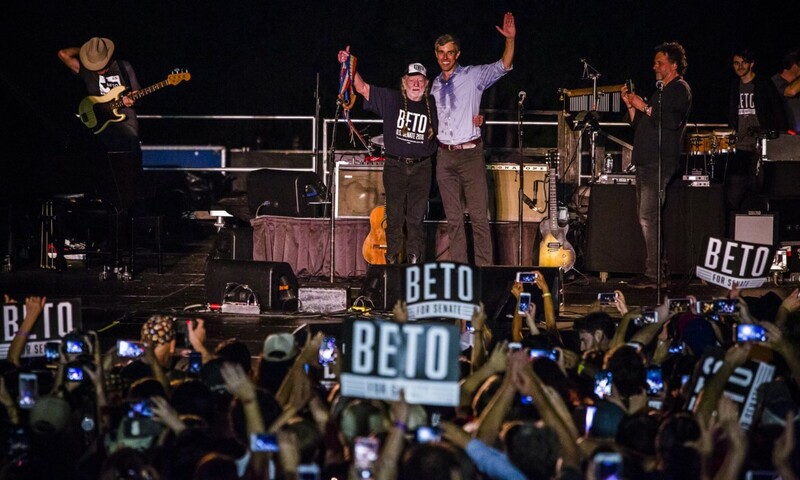 AUSTIN (KXAN) — Thousands flooded Auditorium Shores Saturday night for a concert and rally headlined by Willie Nelson in support of Democratic Senate candidate Beto O’Rourke. The KXAN crew at the concert estimated there were between 15,000 and 20,000 people who attended. The event began with speeches from elected officials and other Democratic candidates, including Austin Mayor Steve Adler and Congressman Lloyd Doggett. Some of the performers that followed were Leon Bridges, Carrie Rodriguez, Tameca Jones and Joe Ely. 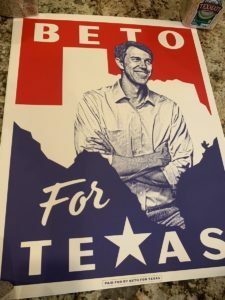 The O’Rourke campaign also had voter registration booths set up around the concert grounds, and volunteers were working their way through the large crowd with sign-up sheets. They’re hoping to increase turnout for the upcoming midterm election and get as many people who attended to register to vote. The concert is Nelson’s first “public” concert held in support of a political candidate, a spokesperson for the folk singer said. 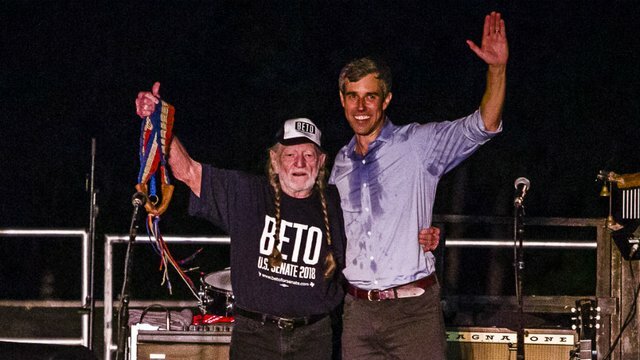 Country music icon Willie Nelson debuted a surprise political anthem during a rally for Texas Rep. Beto O’Rourke, the state’s Democratic Senate nominee. 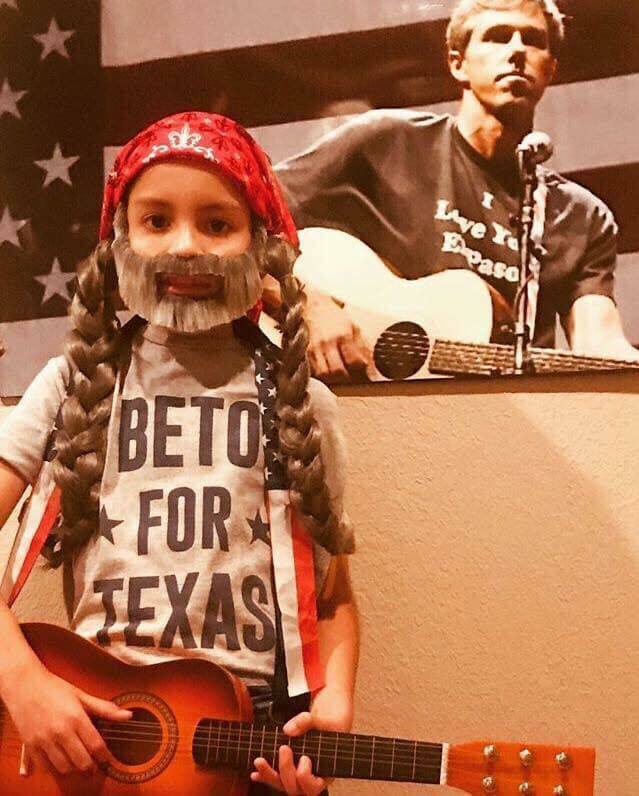 Nelson, who performed at O’Rourke’s rally on Saturday night in Austin, finished his headlining set with a premiere of “Vote ‘Em Out,” a rallying cry to get voters to the polls. 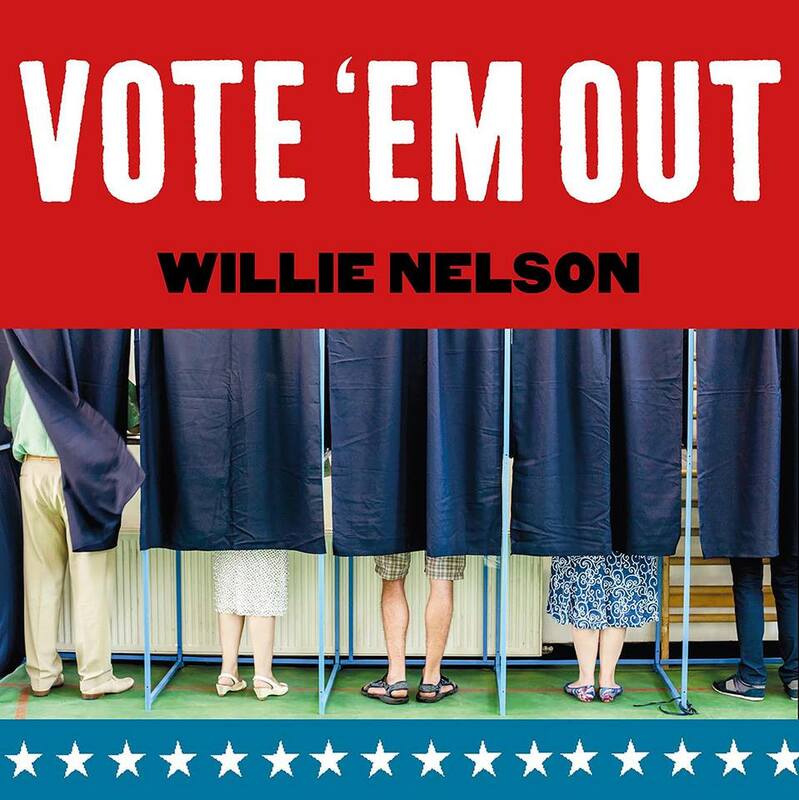 “Election Day is coming ‘round again,” Nelson sang, urging attendees to cast their ballots to vote out this “bunch of clowns you voted in.” The audience enthusiastically sang along with Nelson during the performance. The country rock star has made political statements before, with a Trump-inspired song “Delete and Fast-Forward” released last year. Nelson faced backlash from many fans for headlining a rally for O’Rourke, who is running to defeat Sen. Ted Cruz (R-Texas), but said earlier this month that he doesn’t care. Polls have repeatedly shown a tight race between Cruz and O’Rourke in the red state, which has not elected a Democrat to the Senate in decades.